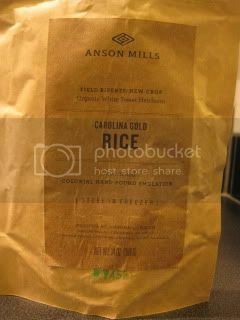 I got premium-quality heirloom rice of Anson Mill’s. 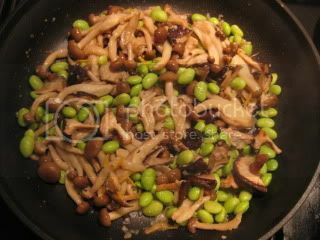 Meanwhile, I sauteed my 2-day sun-dried mushrooms (2 clumps of shimeji mushrooms and 8-10 shiitake mushrooms) in sesame oil, and steam-fried in 2-3T of sake for a few minutes. Then, I added some edamame, and seasoned with 1T of my homemade shio-koji. To finish, I tossed them with some thinly-sliced our home-grown yuzu rind! 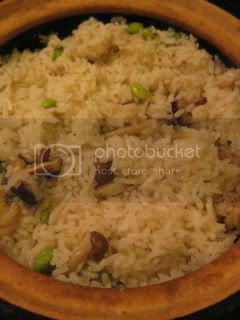 Once the sushi rice was ready, I mixed in 2/3 of mushroom mixture into the rice. Then, covered the top with the remaining mushrooms. It came out wonderful! The rice was so aromatic and fluffy. It was also quite fragile, and not chewy like Japanese rice. 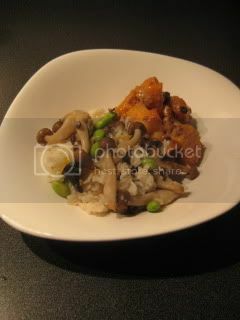 The flavor combination with shio-koji mushrooms was perfect, too. 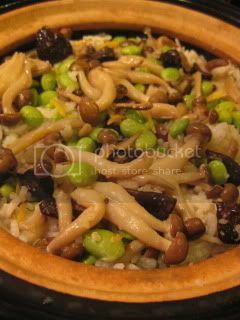 My happy rice dish. To serve, I squeezed some yuzu juice over rice.